After watching Extreme Couponing last night I asked a question on Facebook about how in the world they always seem to get soda for free. I never see soda coupons. Of course writing to the company is a great way to score coupons and it is one of those things that I have been meaning to do. Then I learned a new trick. Katie, told me about Recyclebank in which you make pledges to live greener, watch short videos about recycling and even redeem codes. All of these things earn you points that you can redeem for coupons. In the last month she has managed to rack up enough points for 40 free cans of cat food, 15 high dollar Coke coupons and 15 free Happy Baby Products. All by just spending a few minutes here and there earning points. So of course I had to sign up. And I kid you not, within 15 minutes of me signing up I have already earned 75 points. What are you waiting for? 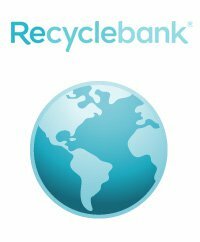 Sign up for Recyclebank now and start saving even more!